Basically we are speaking about Work, and Actual work in MS PROJECT 2016! What is problem here. For example, if you need 40 hours for Task, and you finish it in 32 hours, you want that those 40 hours of Work remains unchanged, but % Complete, and % work Complete to be 100%. Well, this is not possible, but there is a solution in which you can see that team is more efficient than expected. 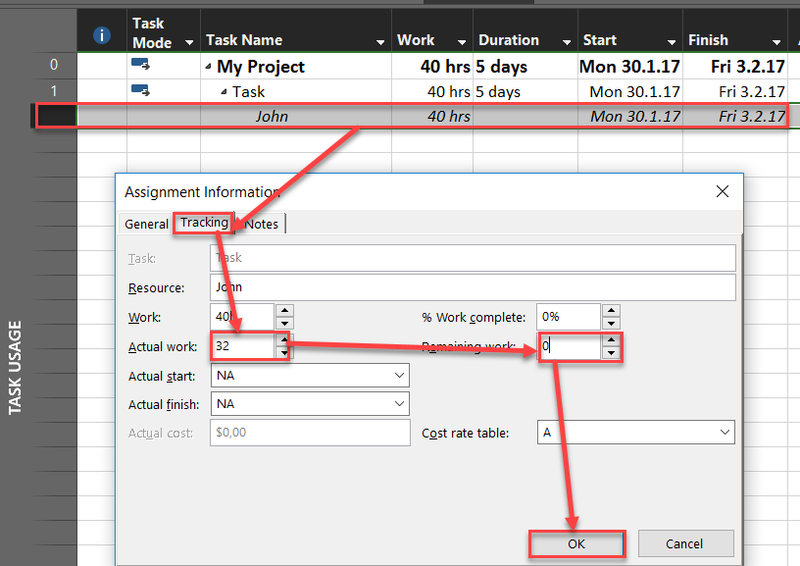 Notice that I’ve used Task Usage View in the picture above. As you can see, Variance is –8 hours, and this shows that real work was 8 hours less then planned. You can also add some Custom field to see, for example, that efficiency is Baseline / Actual * 100%, so in this Case it will be 40/32 * 100 = 125%, etc. To conclude when you change Actual work field, Work field is also changed. If Task is finished 100% then Remaining work is 0 hrs. BUT! If you save the Baseline before you put any Actuals, you can get Efficiency if you compare Actual work with Baseline Work field. 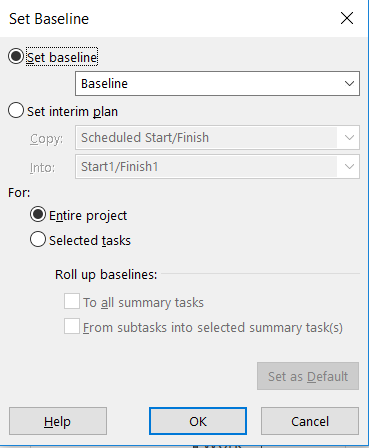 This entry was posted in MICROSOFT PROJECT, Microsoft Project 2013, Micsrosoft Project 2016, MS PROJECT 2010, MS PROJECT 2016 and tagged Micorosft Project 2016, Micorosft Project 2016 - Baseline, Micorosft Project 2016 - Schedule. Bookmark the permalink.